This post contains affiliate links. The bracelets were sent to me by KCK Bangles, but all opinions are my own, as always. 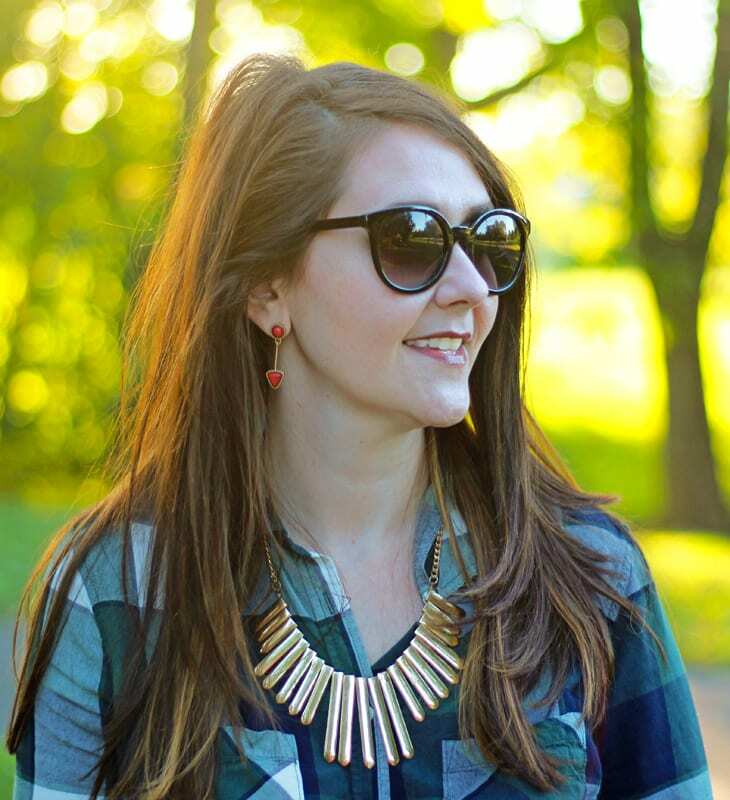 This week, I’m co-hosting the Mix-It Mondays link-up with Lauren from Fizz and Frosting. 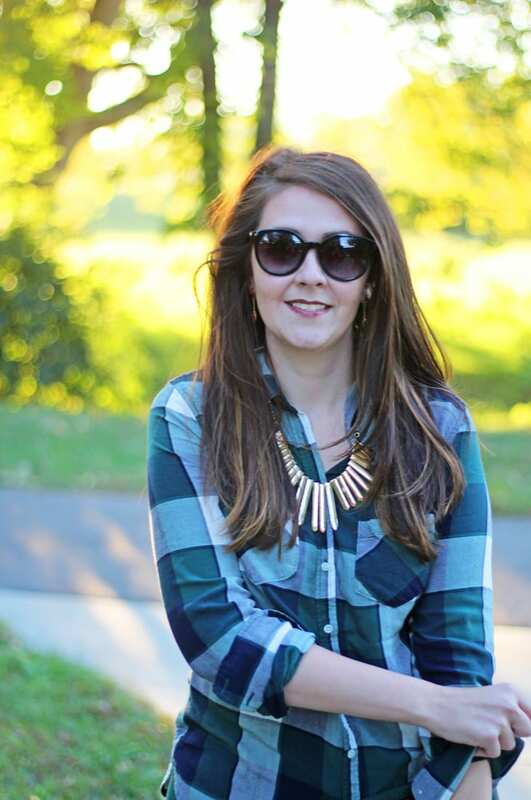 Be sure to link-up your latest fashion looks a the end of this post! 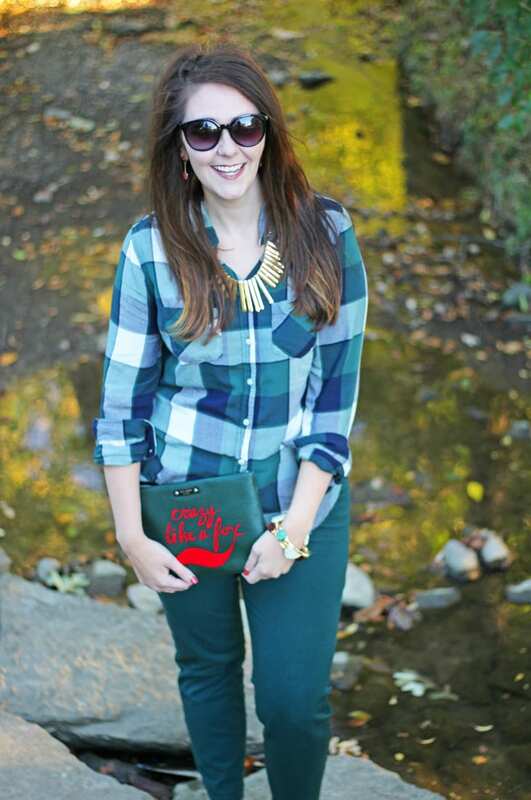 I love plaid–big plaids, little plaids, multi-colored plaids, monochromatic plaids, and buffalo plaid! 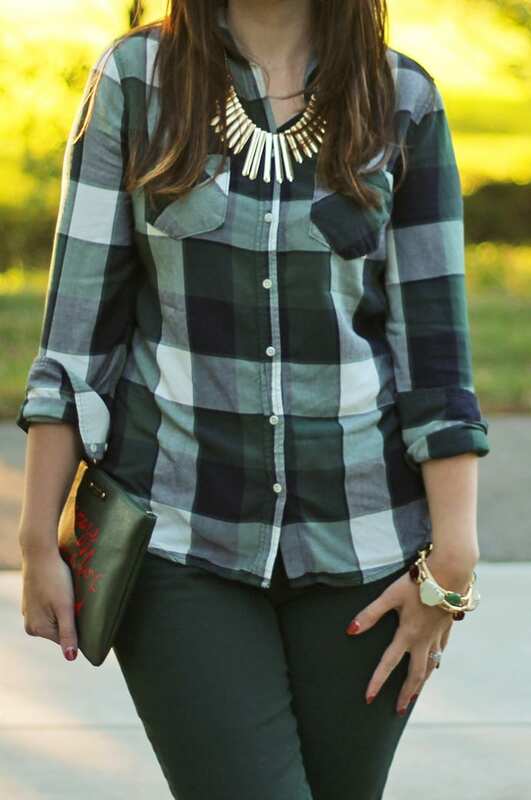 I think that plaid shirts are a great way to make your work outfit interesting, so I wanted to share this plaid shirt that is perfect to wear to work! I love the fabric on this shirt, which is more of a silky feel than cotton or flannel. You could even pop a blazer or cardigan over it, as it’s the kind of material that layers well. 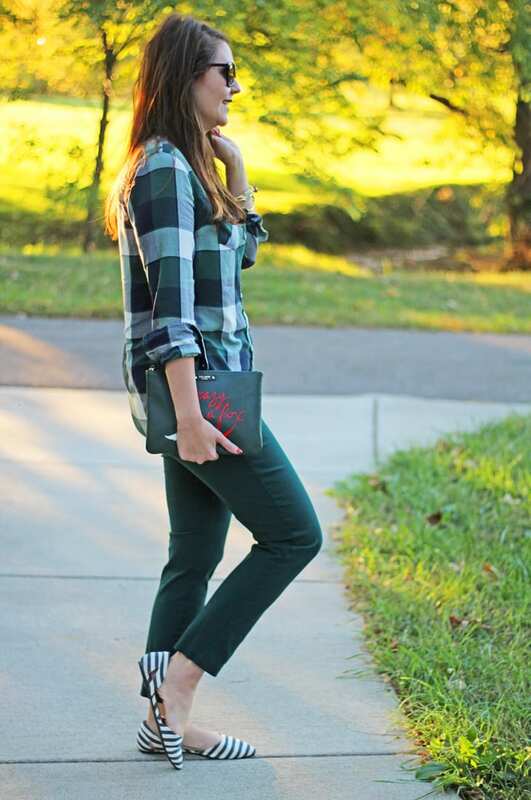 The plaid pattern is even in great fall colors. 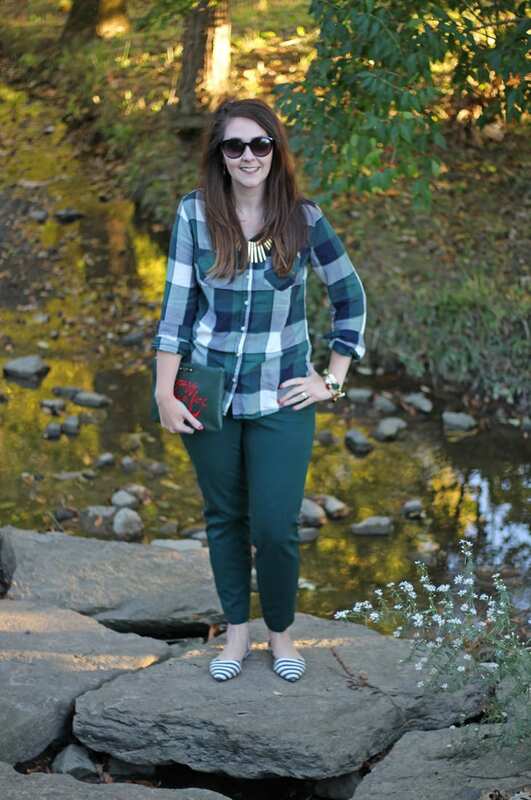 To make this plaid work appropriate, I paired it with my all-time favorite pants. These are the regular ankle length Pixie Pant, but I ordered it in a long to make sure I can wear them through winter. You can read more about fit here. I like Pixie Pants for work because the material wears well and is thicker. 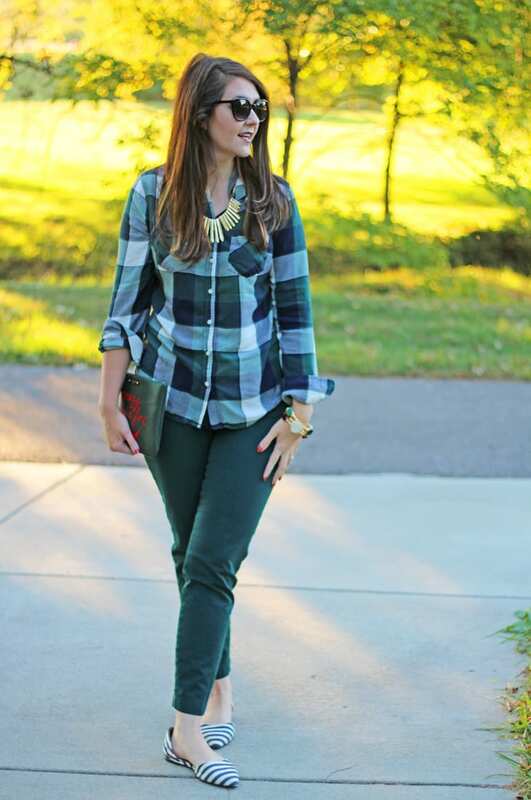 For fall, I purchased this green pair and a navy pair as well. I grabbed my clutch at the Kate Spade outlet yesterday. It just so happened to match my outfit, and pulled together my rust-colored bangle and earrings. Oh, and foxes are so big this fall! And I finished off my outfit with a little pattern mixing by wearing my navy and white striped flats. All three of my bangles are from KCK Bangles. Katrina, the owner of KCK Bangles, is based in central Kentucky. She whipped these bangles up for me, and they’re part of her new fall line. 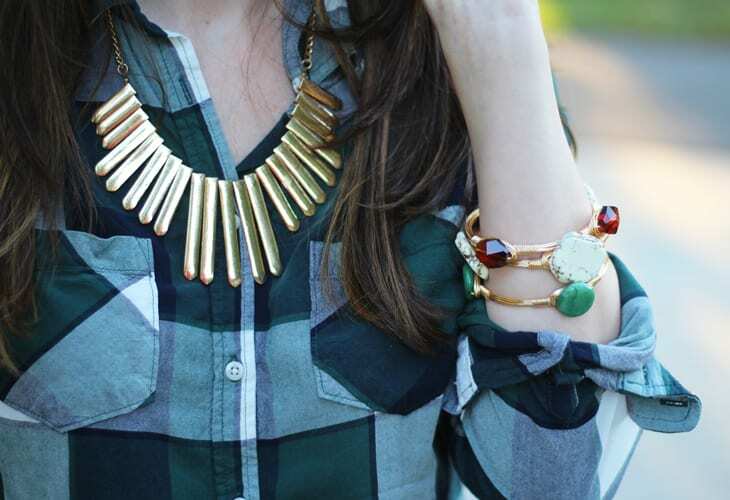 I’m loving the moss green, ivory, and rust colored bangles together for fall. 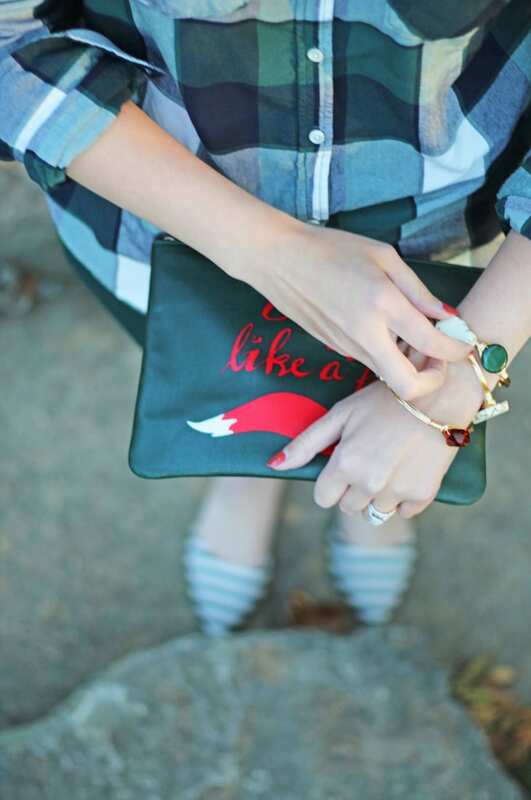 She also just released THE CUTEST pumpkin bangle!!! I don’t think all of these are up on Etsy yet, but you can email her at kckbangles@gmail.com. All of her bangles are so affordable, with most priced between $10 and $15–plus you can 10% with code 10PERCENTOFF. 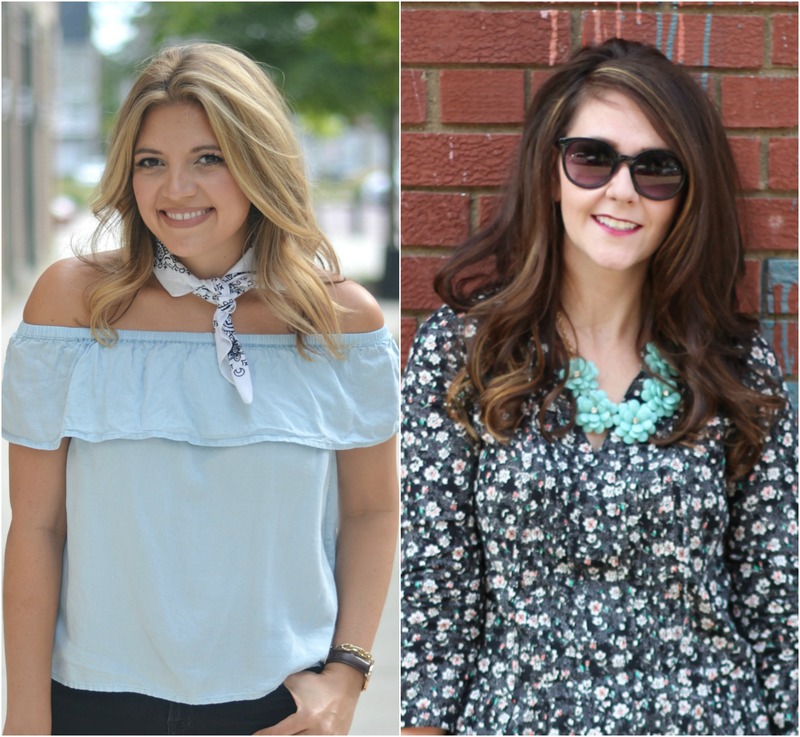 Follow along on Instagram to check out all of her latest releases and learn about her latest deals. If you live in central Kentucky, KCK Bangles with be at the Berea Church of God Fall Festival on November 5, and you can find more info about the event here. 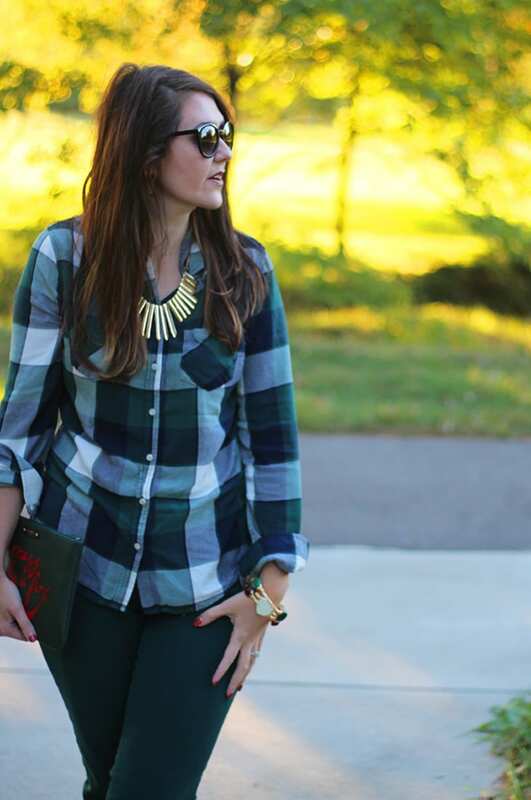 How are you wearing plaid to the office this fall?? ?